In today's episode we talk to Annie Duke about the decisions we make like bets. Annie is a former professional poker player and today she focuses on consulting to help people make better decisions throughout their life. In this part 2 we dig into different way to approach thinking in bets. If you missed part 1 of this episode check it out here: https://spec.fm/podcasts/developer-tea/292556. Annie on the Web Website Twitter Get in touch If you have questions about today's episode, want to start a conversation about today's topic or just want to let us know if you found this episode valuable I encourage you to join the conversation or start your own on our community platform Spectrum.chat/specfm/developer-tea 🧡 Leave a Review If you're enjoying the show and want to support the content head over to iTunes and leave a review! It helps other developers discover the show and keep us focused on what matters to you. 🍵 Subscribe to the Tea Break Challenge This is a daily challenge designed help you become more self-aware and be a better developer so you can have a positive impact on the people around you. Check it out and give it a try at https://www.teabreakchallenge.com/. Today's Episode is Brought To you by: Linode Instantly deploy and manage an SSD server in the Linode Cloud. Get a server running in seconds with your choice of Linux distro, resources, and node location. Developer Tea listeners can get a $20 credit and try it out for free when you visit: linode.com/developertea and use promo code: developertea2019 P.s. They're also hiring! Visit https://www.linode.com/careers to see what careers are available to you. 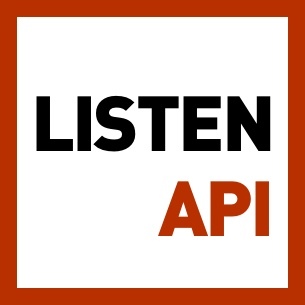 Search past episodes of Developer Tea.